I’ve worked with law firms for the past ten years, first as a Records Manager and now in an advisory role for FileTrail, Inc. It has been my experience that law firms are usually the last ones to adopt any new practice. They usually wait until one of their major clients adopt the practice and demand that they do as well or panic in response to some governmental sanction. So, why should information governance (IG) be any different? Simply put, it just needs to be. Law firms need get off the brake pads and embrace information governance right now. I’d like to share 3 ways law firms can do just that in 2014. We had 41 attendees. However, only 3 of the 41 attendees were employed at a law firm. This indicates a huge gap and a need for law firms to start taking information governance seriously. More information about the IGP certification and prep course schedule is available on the ARMA International website www.arma.org/r2/igp-certification. Information is stored everywhere and it needs to be controlled and managed. It’s not enough to manage just “records”, law firms must manage all information regardless of where it is stored, regardless of medium and whether it’s a record or not. A truly holistic and comprehensive view is needed. Most law firms have separate policies for retention, legal hold, email, smart phones, tablets and social media. All these different policies should be rolled into one enterprise-wide information governance policy. Most information governance programs fail at the monitor and audit stage because no one wants to be responsible and do it. So, you will need to automate this process to be successful and insure that all that up front development work doesn’t go to waste. How can you do this? There are many records and information governance software solutions from which to choose from. The difficulty is choosing which one is right for your law firm environment. However, I will say this; most expensive is not always the best choice. Information governance is still a gray area in most organizations today. Many still do not understand what exactly it is and how to apply to their organization. 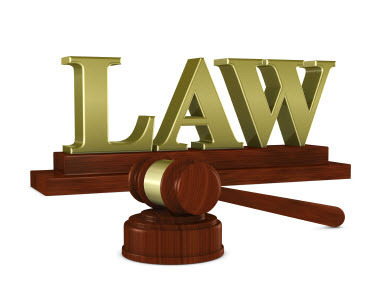 By embracing information governance in 2014, law firms will position themselves well to help new and existing clients. Who knows…information governance could be the new cutting edge practice area in the law firm environment.